Tulsa, OK, August 31, 2017 – Gary Richardson today expressed his disappointment in the 5-4 decision upholding the Oklahoma Car Sales Tax. However, Richardson laid the responsibility of the tax increase squarely at the Lt. Governor, Todd Lamb for not doing his job as the President of the State Senate. "I'm surprised that our State Supreme Court in a 5-4 vote can look at a law which brings millions more into the state coffers and say it doesn't increase revenue," said Richardson. "But what shouldn't be lost with today's decision is that our Lt. 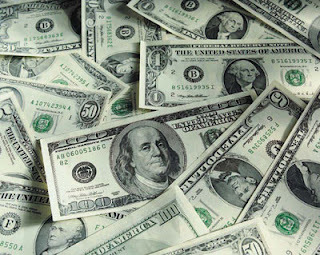 Governor, Todd Lamb, could have stopped this tax from becoming law in the first place." Richardson then explained how the Oklahoma Lt. Governor is the one constitutionally in charge of the State Senate. "According to Article 5, Section 28 of the State Constitution, the Lt. Governor is the one who presides over the State Senate," said Richardson. "Lamb could have taken the gavel of the State Senate and refused to let any of the tax bills be heard." "If stopping the tax increases was important to our Lt. Governor, believe me, he could have gotten it done and protected the citizens of our state from all of these new taxes," continued Richardson. Richardson then explained when Mary Fallin was Lt. Governor in 2000, she used the same power that Todd Lamb has to take over the State Senate to have Right to Work legislation heard. "Now, because of the failure of our Lt. Governor to execute his constitutional duties and the State Supreme Court effectively gutting State Question 640 that was passed by an overwhelming majority of Oklahomans in 1992, the Oklahoma Legislature now has over $10 billion in tax exemptions that they can eliminate without a vote of the people, all in violation of the people's intent when they passed State Question 640," said Richardson. Richardson continued, "The one silver lining I take from the Oklahoma Supreme Court's decision today is that they made the stakes for the next Oklahoma Governor crystal clear : Oklahoma needs Governor who will be a defender of the Constitution; Oklahoma needs Governor who will audit every State Agency, Trust, and Authority; and Oklahoma needs a Governor who will stand on our conservative principles." "I believe I am that person and as Governor of Oklahoma, I promise to oppose any attempt by the Oklahoma Legislature to increase revenue without a vote of the people or 3/4 of the legislators' votes," said Richardson. "I will honor State Question 640 and our Constitution, no doubt about it." 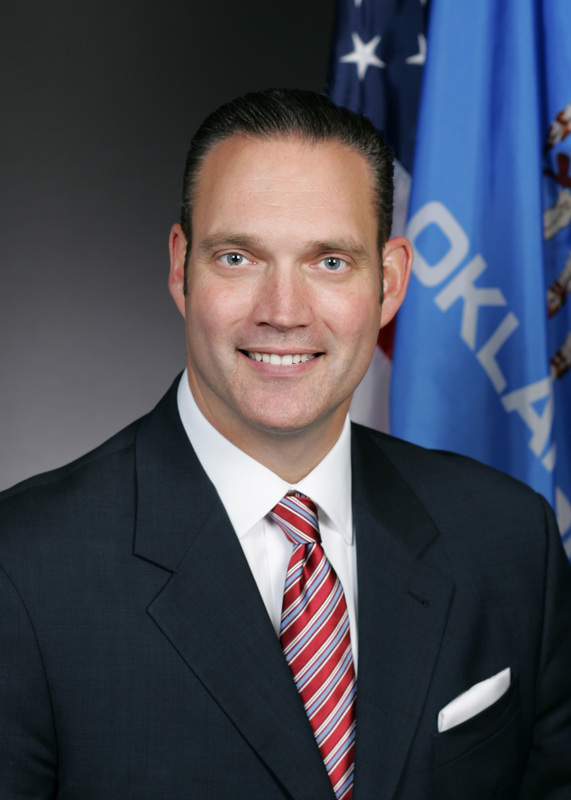 OKLAHOMA CITY – State Rep. and House Minority Leader Scott Inman, D-Del City, released the following statement today after the Oklahoma Supreme Court upheld removing a vehicle sales tax exemption as constitutional. "Today’s court ruling presents a mixed bag for Oklahoma voters. While avoiding another loss of $100 million to the current year’s budget, the ruling has empowered this Republican majority to raise the taxes of middle class families without honoring the will of the Oklahoma citizens who passed State Question 640 in 1992. "While I disagree with the majority opinion, in that the new car tax was clearly passed exclusively for the purposes of raising revenue, it’s important to note that we still have a $215 million gap for this fiscal year created by the unconstitutional cigarette tax and an even bigger hole to fill when we begin the Legislative session next year. "A potential silver lining in today’s ruling, it appears the Court has now opened the door to increasing, with only a majority vote in the Legislature, the gross production tax exemption that has served as a road block to the Oklahoma standard rate of 7 percent. The time is right to remove the artificially low gross production tax rate of 2 percent. "I call upon the governor and Republican leaders of the House and Senate to continue negotiations with House and Senate Democrats and come to an agreement on a long term, bipartisan budget solution for a Special Session that will ensure our teachers and public employees receive a raise, shore up our rural hospitals, protect our public safety, and improve our roads and bridges so that we can rebuild our state from the devastating fiscal policies of the last seven years. Oklahoma cannot continue to wait." This week's Music Monday is Noah Found Grace In The Eyes Of The Lord, composed by folk musician Robert Schmertz in 1951. This version was performed by "Tennessee Ernie" Ford on his television show in 1965. Rogers County Treasurer Jason Carini announced today that he has received the endorsement of Congressman Jim Bridenstine. "I am proud to endorse Jason Carini for re-election as Rogers County Treasurer," said Congressman Bridenstine. "I've known Treasurer Carini for over 5 years and believe he is a man of strong moral character. I am confident he will continue to serve the people of Rogers Count with integrity." "It is a privilege to have the endorsement from my friend, Congressman Bridenstine," said Carini. "We have made a lot of positive changes at the Rogers County Courthouse these past couple years. 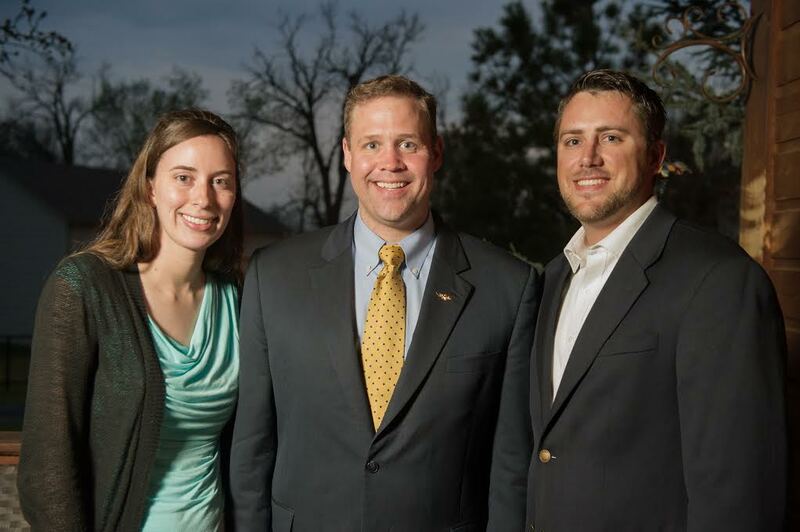 I look forward to the election season next year and am honored to have the support from leaders such as Congressman Bridenstine." Treasurer Carini was first elected in 2014, defeating a 24-year incumbent. Before being elected, Carini was a small business owner for over 5 years, operating his business debt free. Treasurer Carini and his family reside in Catoosa. TULSA, OK - Chairman of the Senate Insurance Committee, Sen. Bill Brown (R-Broken Arrow), is the latest insurance expert to endorse Glen Mulready and his bid to be Oklahoma's next Insurance Commissioner. 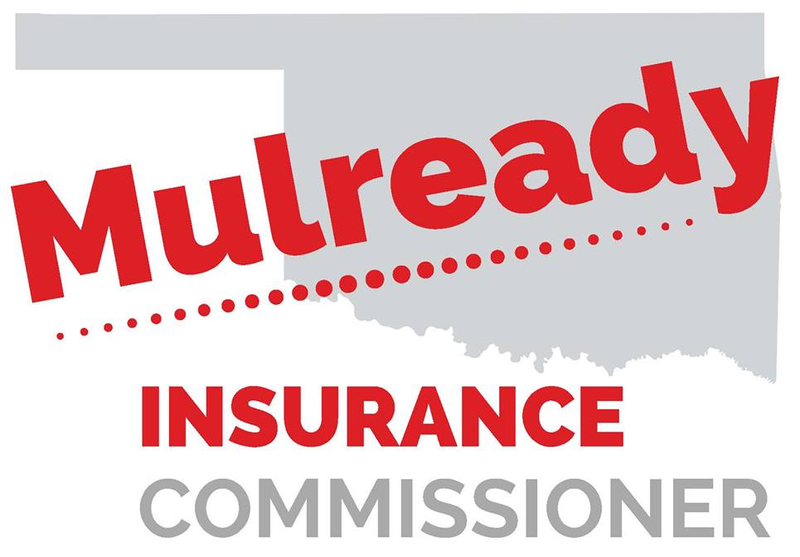 Current Insurance Commissioner John Doak and House Insurance Committee Chairman Lewis Moore have previously endorsed Mulready. Senator Brown was elected to the Oklahoma legislature in 2006 and represents portions of Broken Arrow and Tulsa. 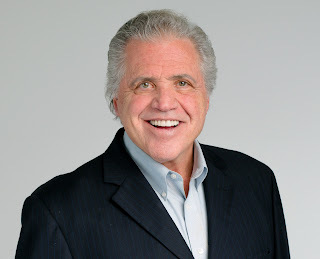 "I am honored to receive Senator Brown’s endorsement," said Mulready. "Senator Brown knows the insurance industry better than most and is a well-respected member of the Oklahoma State Senate. His support is encouraging and I look forward to continuing to work with him should I be elected to lead the Insurance Department. 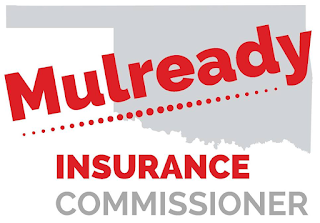 Mulready spent 13 years on the executive teams of Oklahoma’s two largest health insurance companies and for the last eight years has been self-employed as an independent broker working with businesses of all sizes. He has worked in the insurance industry for more than 33 years. Mulready was first elected to represent House District 68 as a Republican in the Oklahoma House of Representatives in 2010. 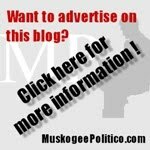 OKLAHOMA CITY – House Speaker Charles McCall (R-Atoka) issued the following statement today after the McCarville Report posted a story claiming that Gov. Mary Fallin and Democrats in the House of Representatives have agreed to a plan that would raise more than $1 billion in taxes on Oklahoma citizens. “There is never a shortage of rumor and innuendo surrounding negotiations at the Capitol, so I will add some facts to the discussion. First, there is no way House Republicans will ever pass a billion dollars in tax and revenue increases to fill a $200 million budget hole. Such a plan would be dead on arrival. Republican gubernatorial candidate Gary Richardson sent the following press release out this afternoon, in response to a story from the McCarville Report that Governor Mary Fallin is nearing an agreement on a new $972M to $1.06B tax hike plan with the House Democrats in advance of the expected special session. Tulsa, OK, August 24, 2017 – Gary Richardson today called on the state legislative leaders to oppose every one of the $1 billion in new tax increases proposed by Governor Mary Fallin. "I have said it before and will continue to say it again, we have a spending problem, not a revenue problem," said Richardson. "That's why I urge Governor Fallin to heed my call to audit every state agency to identify and eliminate any wasteful spending or fraud before sticking a $1 billion tax increase to the people of Oklahoma," said Richardson. Richardson continued, "Additionally, I call on all of the legislative leaders to oppose any new tax increases to fill the budget gap, including the President of the Oklahoma Senate, Todd Lamb." Richardson then explained how the Oklahoma Lt. Governor is the one constitutionally in charge of the State Senate. "According to Article 5, Section 28 of the State Constitution, the Lt. Governor is the one who presides over the State Senate," said Richardson. "I call on our Lt. Governor, Todd Lamb, to fulfill his constitutional powers as President of the Senate and block any tax increases from Governor Fallin." Richardson then explained how this wouldn't be the first time a Lt. Governor has presided over the State Senate. 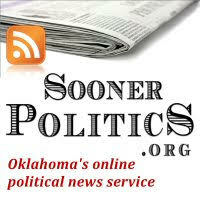 "Previous Lt. Governors in Oklahoma have used their constitutional powers to pass or block legislation," said Richardson. "It's in the Constitution for a reason." Richardson continued, "It's time our Lt. Governor follows the State Constitution and stop these job-killing, billion dollar tax increases." 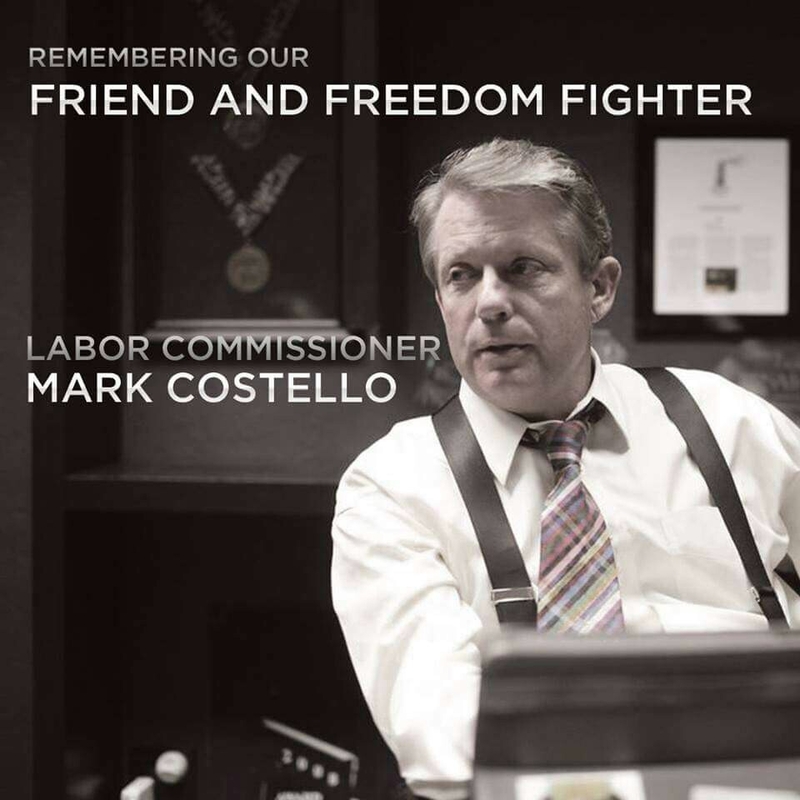 Today is the second anniversary of the untimely death of Labor Commissioner Mark Costello. I've often wondered what the Oklahoma political scene would have looked like had that fateful night turned out differently. A stout defender of free market capitalism and conservative governance, I have a feeling that he'd have a thing or two to say about the current state of affairs in Oklahoma City and Washington, D.C.
Costello always had some Zimbabwean bills to hand out, as a reminder of what happens when government gets out of control and destroys an economy. 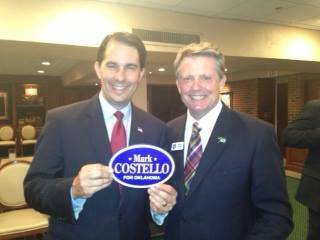 Mark was a big supporter of Wisconsin Governor Scott Walker, making a trip to the Badger State to support Walker's re-election, and made early efforts to support Walker's [ultimately short-lived] 2016 presidential campaign. Walker was my first choice for President, as well. Costello was unafraid to confront "sacred cows" in politics -- something that is missing in much of our government today, both on a state level and on the federal side. 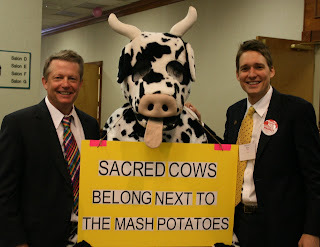 From his famous jingle to OKGOP State Convention "gags" (such as the cow above), he had a flamboyant flair that brightened up the political scene in this state. He had a knack for the personal, remembering details about those whom he met and interacted with. When he heard that we were expecting our first, he sent us a handwritten card and a Republican gift (elephant pacifier). 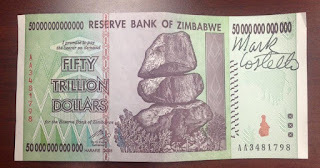 From cards to Zimbabwean bills, he always had a personal touch. 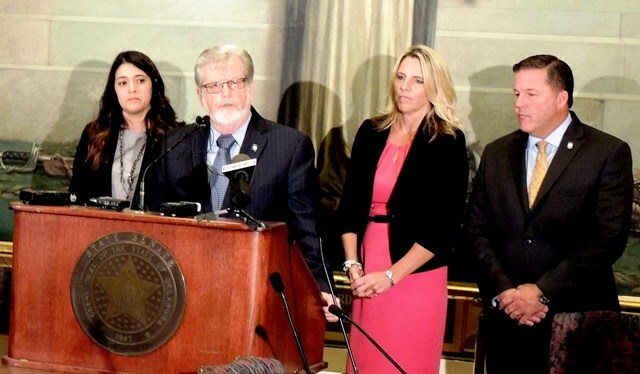 Sen. Stephanie Bice; R-Oklahoma City; Sen. Roger Thompson, R-Okemah; Sen. AJ Griffin, R-Guthrie, and Sen. Lonnie Paxton, R-Tuttle, discuss line-item budgeting bill at a press conference held Tuesday at the state Capitol. Seven members of the Oklahoma State Senate have co-authored legislation aimed at increasing transparency and accountability in exactly how tax dollars are being used by the agencies receiving the vast majority of state appropriations each year. Senate Bill 875 would require the Legislature to approve line-item budgets for agencies appropriated more than $100 million in state funds. Sen. Roger Thompson, R-Okemah, is the principal author of the legislation, co-authored by Sen. AJ Griffin, R-Guthrie; Sen. Stephanie Bice, R-Oklahoma City; Sen. Jason Smalley, R-Stroud; Sen. Marty Quinn, R-Claremore; Sen. Lonnie Paxton, R-Tuttle; and Sen. Julie Daniels, R-Bartlesville. Thompson, who chairs the Senate Appropriations Subcommittee on Finance, said the legislation would give legislators and their constituents a clearer understanding of exactly how agencies are using their state appropriated resources, and an opportunity to redirect how those resources are allocated to prioritize the needs of citizens. Agencies that would be subject to this legislation include the Department of Education; CareerTech; Department of Transportation; the Oklahoma Health Care Authority; the Department of Mental Health and Substance Abuse; the Department of Human Services; and the Department of Corrections. While annual appropriations to Higher Education are more than $100 million, the state constitution restricts the Legislature from specifying how the appropriation is allocated. 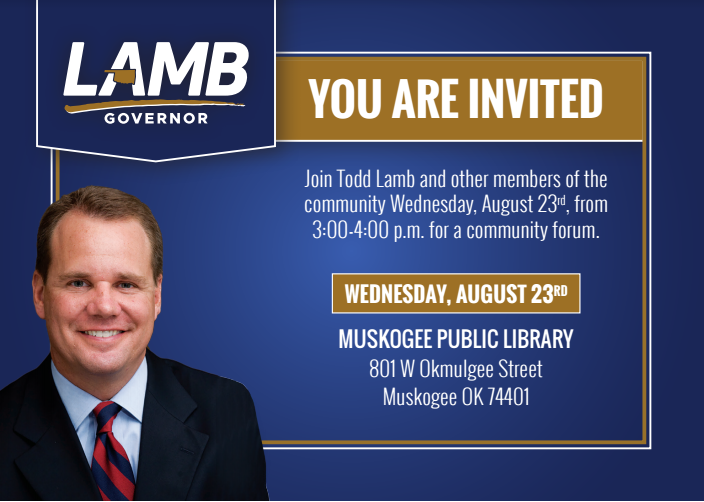 Lieutenant Governor Todd Lamb will be making a stop in Muskogee on Wednesday, visiting an area manufacturer, and closing the day with a public town hall at the Muskogee Public Library at 3:00pm. Lamb is one of six Republicans running for Governor. Fellow Republican candidate Gary Richardson spoke to the Muskogee County Republicans at an event several weeks ago. In honor of today's solar eclipse, this week's Music Monday is The Heavens Are Telling The Glory of God, by the 18th-century Austrian composer Joseph Haydn. The song comes from his oratorio The Creation, and the lyrics are lifted from Psalm 19:1-2. 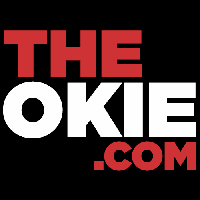 NASA Watch, a news site focused on the space agency, and Arstechnica, a tech/science news site, are both reporting that Oklahoma Congressman Jim Bridenstine will likely be announced in the coming weeks as the Trump administration's pick for NASA Administrator. The exact date and venue for the formal announcement of these NASA leadership nominations has not been set. NASA HQ has liked to do events with a lot of pomp and flair so we'll see what they do for this announcement. Sources have told me that a post-Labor Day announcement was being planned but it may be moved up now. Or maybe it won't. John Logsdon, a noted space historian and author of several books, including After Apollo? Richard Nixon and the American Space Program, said he has been hearing the same names. 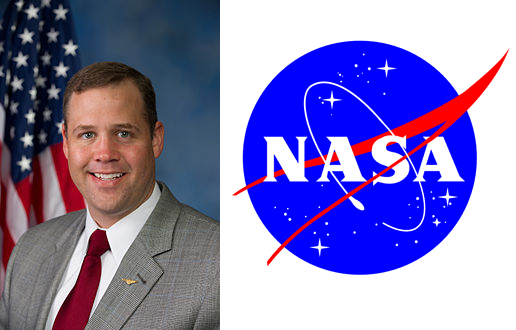 "Appointing [US Representative] Jim Bridenstine and [Aerojet Rocketdyne Vice President] John Schumacher as the top two NASA officials is an intriguing and potentially very productive move," Logsdon told Ars, via e-mail. "Bridenstine, for several years, has been conceptualizing what is needed for, as he suggests, an 'American Space Renaissance' and has been testing his ideas with multiple audiences. Schumacher is a Washington space community veteran, with years of both senior NASA and space industry executive experience. Together, they can bring both fresh ideas and a sense of political and policy realism to the space agency." The Arstechnia article goes into more interesting details about both men as it relates to potential space policy, as well as implications of the picks. Read more here. A Bridenstine appointment would mean a special election in the 1st District, which already has at least five candidates vying for the seat, which Bridenstine was vacating to his self-imposed term limit (you know, actually keeping his word, unlike another Oklahoma congressman). A special election would likely take place at the end of this year or beginning of next year, leaving the eventual victor a mere three or four months before turning around to run for the full term. 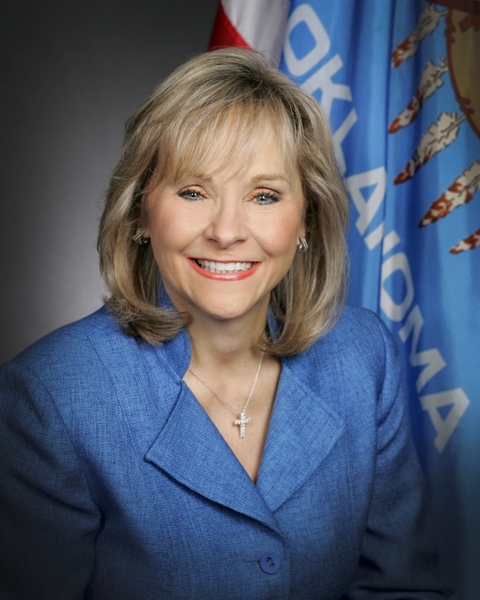 OKLAHOMA CITY – Governor Mary Fallin today said the Legislature must return in special session to deal with the $215 million shortfall caused by a proposed smoking cessation fee being struck down. Article 5, Section 55 of the Oklahoma Constitution states that no money shall be paid out of the state treasury, except through an appropriation by law. Fallin said state law (Title 62, Section 34.55) allows the director of OMES to borrow money from treasury funds to satisfy monthly allocations of appropriations made from the General Revenue Fund, but the appropriation has to be made by the Legislature. The three agencies that received the bulk of the money from the proposed cessation fee are the Department of Human Services (DHS), the Department of Mental Health and Substance Abuse Services (DMHSAS), and the Oklahoma Health Care Authority (OHCA). DMHSAS would have received $75 million (about 23 percent of its total appropriation), OHCA would have received $70 million (about 7 percent of its total appropriation), and DHS would have received $69 million (about 10 percent of its total appropriation). Without legislative intervention, DMHSAS said it would run out of state appropriations in November. OHCA said it would run out of state funds in January and DHS said it would out of state funds in May. The funding shortfall is the result of the Oklahoma Supreme Court last week striking down a smoking cessation fee approved this past legislative session. Fallin said she and her staff have been discussing options with legislative leaders of both parties. OKLAHOMA CITY, OK, August 15, 2017 – The Research Institute for Economic Development (RIED) has named Mark Williams as president succeeding Susan Winchester who resigned recently to become chief-of-staff to Lt. Governor Todd Lamb. Williams joins RIED after a 36-year career with AT&T Oklahoma, serving since 2010 as Director-Legislative Affairs where he led the AT&T Oklahoma external affairs team on legislative matters at the state Capitol. Williams joined Southwestern Bell Telephone Company, now AT&T, in 1981. 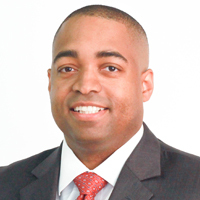 Williams presently serves as Chairman of the Board of the Oklahoma Center for Nonprofits and Chair-Elect of the Oklahoma City All Sports Association. 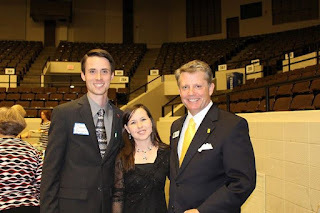 He is the past board chairman of the American Red Cross of Central Oklahoma, the Northwest Chamber of Commerce and the Oklahoma Baptist University Alumni Association. He has, or is currently serving on the boards of the First Tee, Leadership Oklahoma, Youth Leadership Exchange, Sooner State Games and the Urban League of Greater Oklahoma City, where he is also a Life Member. Williams is a native Oklahoman, receiving a B.A. in Economics from Oklahoma Baptist University and a J.D. from Oklahoma City University. He is married to Carol Cathey Williams and they have two daughters and five grandchildren. 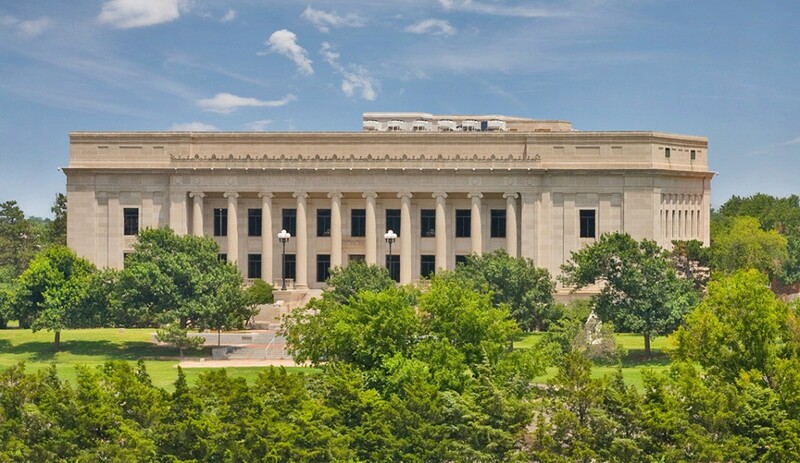 Research Institute for Economic Development was founded in 1997 and is a non-partisan organization dedicated to promoting economic growth through the evaluation of business, job and economic growth issues considered annually by the Oklahoma Legislature. RIED does not lobby issues or endorse candidates. OKLAHOMA CITY, OK – August 14, 2017 – Republican gubernatorial candidate Todd Lamb announced today the formation of his Oklahoma Economic Diversification Committee. The group of Oklahoma business leaders will advise on issues to help diversify Oklahoma’s economy through greater worldwide trade. Here's the 2017 update to my Republican District Ratings, the 2016 version of which can be viewed here. This rating system is to determine how "Republican" each state house and state senate district is. The formula is comprised of three elements: federal-level (most recent Republican presidential nominee's in-district vote percentage), state-level (most recent Republican gubernatorial nominee's in-district vote percentage), and local-level (in-district voter registration). If a district might be rated 50.0, that does not mean the Democrat rating would also be 50.0, as I didn't split the remaining portion up between Democrat, Libertarian and Independent. This system simply rates on "Republican-ness". Perhaps another way of putting it is this: a generic Republican candidate should be able to get no less than the RDR in his district. Have a look at each full list. Given the massive turnover last year, I marked which members are freshmen (i.e. elected in 2016). I'll post the 2017 Conservative Performance Index soon, where we'll examine each legislator's conservative score (an average of two different conservative rating systems) and compare it to their district's Republican rating. Northwest Oklahoma has the top three Republican district; HD61 maintained top-status with 71.0%, while HD59 (69.8%) and HD58 (69.1%) leapfrogged from 6th and 7th place last year. Broken Arrow's HD80 comes in fourth with 68.2%, and #5 goes to HD41 (a gerrymandered district running from Enid to the edge of OKC) with 67.3% . The five least Republican districts are HD73 in north Tulsa (10.3%), HD99 (16.6%) and HD97 (22.9%) in Oklahoma City, OKC's HD88 (27.9%), and HD72 (29.7%) in north Tulsa. The average rating for all House seats is up 0.3 points to 52.2%. For Republican-held seats, it actually fell overall by 0.4 points to 56.7%, while Democrat-held seats also fell 0.5 points to an average of 40.4%. The five most Republican seats held by Democrats are HD6 (56.0%) in the northeast, recent special-election snag HD75 (54.3%) in Tulsa, HD7 (51.1%) in the far northeast corner, OKC's HD85 (49.4%; a 2015 special-election steal), and HD86 (48.5%) in Adair County. The six least Republican seats held by Republicans are HD13 (39.5%) in Muskogee and McIntosh counties, HD62 (41.8%) and HD64 (42.3%) in Lawton, HD71 (43.7%) in Tulsa, and HD19 (44.5%) in the southeast. The most Republican district is again in far northwest Oklahoma and the Panhandle - SD27 at 69.5%. Next are SD25 (65.8%) in south Tulsa, SD19 (63.8%) in the Enid area, SD22 (63.6%) in northwest OKC, SD29 (62.7%) around Bartlesville. The five least Republican districts are SD11 in north Tulsa (26.5%), SD48 (27.2%) and SD46 (37.5%) in Oklahoma City, SD9 (41.1%) in Muskogee and Cherokee counties, and SD16 (42.3%) in Cleveland County. The average rating for all Senate seats is up 1.4 points to 53.5%. For Republican-held seats, it's up 0.2 points to 55.5%, while for Democrat-held seats it's up 3.5 points to 41.8%. The three most Republican seats held by Democrats are SD34 (an early 2016 special-election stunner) at 59.1%, SD44 (51.8%; the most recent special-election grab), and SD32 (47.9%). The five least Republican seats held by Republicans are all in southeast or east-central Oklahoma -SD9 (41.1%), SD7 (43.9%), SD8 (44.7%), SD5 (44.9%), and SD6 (47.3%). 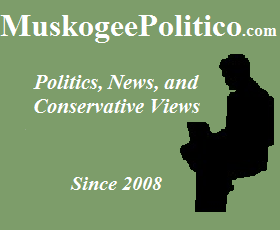 Of note, the least-Republican Republican-held House and Senate districts both cover the city of Muskogee and most of Muskogee County, and both were won in 2016. If you'd like to see maps to show where all the different districts are, go here for State House maps and here for State Senate maps. Below the break, I've added two more sheets: one showing all House and Senate districts together for comparison, and the other showing the percentage changes each district had since the 2016 rating. This week's Music Monday is the first movement to Symphony No. 5 in C Minor, by the great 19th-century German composer Ludwig van Beethoven. Former House Appropriations and Budget Chair Leslie Osborn recently stated Oklahoma is “50th in the nation in tax collections.” Calling for more tuition and fee increases on working Oklahoma families, University of Oklahoma President David Boren made a similar dead-last claim regarding state support for higher education. Despite Boren’s claims, the actual data show that Oklahoma ranks 31st in total state support for higher education. When adjusted for cost of living, on a per capita basis Oklahoma actually ranks 26th in state support for higher education. Just as the actual data contradict President Boren’s claim, the undisputed data from the United States Census Bureau contradict Rep. Osborn’s statements, proving that we are far from being the lowest-taxed state. Regarding Osborn’s assertion, the actual data show Oklahoma is not 50th in the nation. According to the latest available data from the Census Bureau, Oklahoma collects more in state taxes than Alaska, Delaware, Hawaii, Idaho, Kansas, Maine, Mississippi, Montana, Nebraska, Nevada, New Hampshire, New Mexico, North Dakota, Rhode Island, South Dakota, Utah, Vermont, West Virginia, and Wyoming. Thus, Oklahoma ranks 31st, not 50th. Per capita, Oklahoma ranks 38th in tax collections. When adjusted for cost of living, Oklahoma ranks 36th in per capita tax collections. What’s really astonishing is that the state managed to collect this level of revenue despite being in a recession while most states were not. Oklahoma lost 21,800 energy and manufacturing jobs, resulting in a loss of more than $13 billion in taxable income. Oklahomans reduced purchases subject to sales tax and use tax to the tune of $4.1 billion just to survive, according to available Oklahoma Tax Commission data. Given this, state government should not complain, and Oklahomans should be thanked for their sacrifice. Throughout the 2017 legislative session, tax consumers tried to get lawmakers and the public to support more than $2 billion in tax increases. Despite these attempts, no tax increases were constitutionally passed by the Legislature. While I believe Rep. Osborn cares about Oklahoma, misleading statements from public officials such as Osborn and Boren are harmful to efforts to find viable, long-term solutions. Jonathan Small serves as president of the Oklahoma Council of Public Affairs (www.ocpathink.org). This column originally ran in the Journal Record. The House and Senate Democratic caucuses have now issued statements over the Oklahoma Supreme Court striking down SB 845, the Cigarette Tax Smoking Cessation Fee. 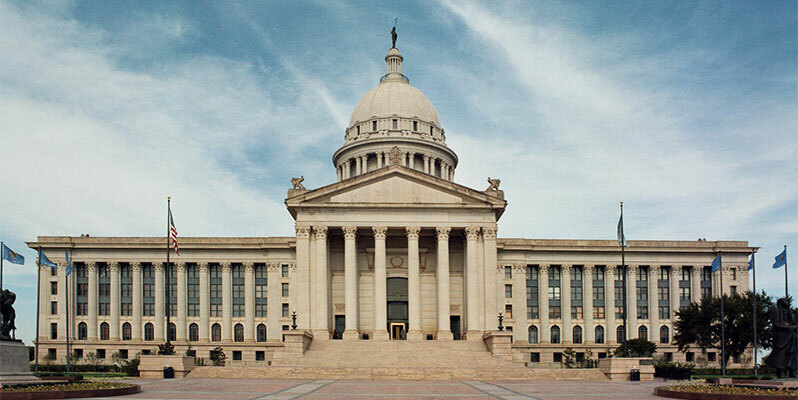 OKLAHOMA CITY – The Oklahoma Supreme Court has unanimously ruled that Senate Bill 845 is unconstitutional. SB845 was projected to raise more than $200 million for the current state budget by charging cigarette wholesalers a $1.50 per pack tax. During the legislative session, however, House Democrats warned Republicans that passing the unconstitutional legislation would have a detrimental impact on our state budget and state agencies. The measure passed the House with a partisan vote of 51 to 43. The proposed revenue from the tax affects 7 percent of the appropriated budget to the Oklahoma Health Care Authority, 10 percent of the appropriated budget to the Department of Human Services, and 23 percent of the appropriated budget to the Department of Mental Health and Substance Abuse Services. The court’s ruling will likely prompt a special session, costing the state an additional $30,000 per day, and requiring lawmakers to return to the capitol to fix the now incomplete budget. House Democrats held a public budget forum in the House Chamber on August 3rd, inviting all members of the House to listen to statements regarding the importance of these now threatened core services and to begin the work to reach an agreement in the event any of the revenue raising measures were struck down. The House Democratic Caucus is urging the Governor to call a Special Session immediately. Several members are requesting legislation be drafted reflecting proposals contained in the Restoring Oklahoma Plan, released in March of this year, with the intention to maximize the time used in a Special Session to not only restore cuts tied to the cigarette tax but also to put Oklahoma on a better path forward. Tulsa, OK, August 10, 2017 – Gary Richardson issued a statement today in response to the Oklahoma Supreme Court striking down the revenue raising portion of SB 845, which levied a $1.50 per pack "fee" on cigarettes. "We are encouraged by the Supreme Court upholding the intent of SQ 640, which was passed by the voters in 1992 to require either a supermajority of the legislature to raise revenue or send the measure to a vote of the people," said Richardson. "We were fully supportive of this challenge as it violates Article 2, Section 33 of the Oklahoma Constitution just like the three bills I challenged in court." "If this quintessential excise tax can be transformed into a fee merely by calling it a fee and adding some regulatory gloss to the measure enacting it, then the promise of Article V, Section 33-a promise made to citizens in 1992 when they went to the polls and enacted the amended version-will be an empty one. The 'tax relief' to be expected from the requirement that all 'future bills "intended to raise revenue" . . . be approved by either a vote of the people or a three-fourths majority in both houses of the Legislature' will have been illusory. And that, we think, would be an abject failure to carry out 'the manifest purpose of the framers and the people who adopted it.'" "It is heartening to see the Supreme Court bring clarity to this issue," said Richardson. "We hope that Supreme Court will view our challenges to the car sales tax, electric and hybrid vehicle fees, and the decoupling of the standard deduction through the same lens when they release their decision on the other challenges to the revenue-raising measures." State leaders are starting to weigh in on the Oklahoma Supreme Court striking down the Cigarette Tax Smoking Cessation Fee. First up, the three members of state government who pushed the unconstitutional tax and were named in the lawsuit: Governor Mary Fallin, House Speaker Charles McCall, and Senate Pro Tem Mike Schulz. “I am disappointed to hear the Supreme Court struck down the smoking cessation fee, but I certainly respect the justices’ authority. I will be discussing with legislative leaders from both parties the need to address the $215 million shortfall this will create for the Department of Human Services, the Department of Mental Health and Substance Abuse Services and the Oklahoma Health Care Authority, the three agencies that received the bulk of the money that was to be generated by the cessation fee. OKLAHOMA CITY – House Speaker Charles McCall issued the following statement today regarding the Oklahoma Supreme Court's decision on Senate Bill 845. "The Court has made their ruling and now it is up to the Governor and legislative leaders to agree on the best course of action moving forward. state. When our citizens have less money in their pockets to spend the state will realize less revenues. 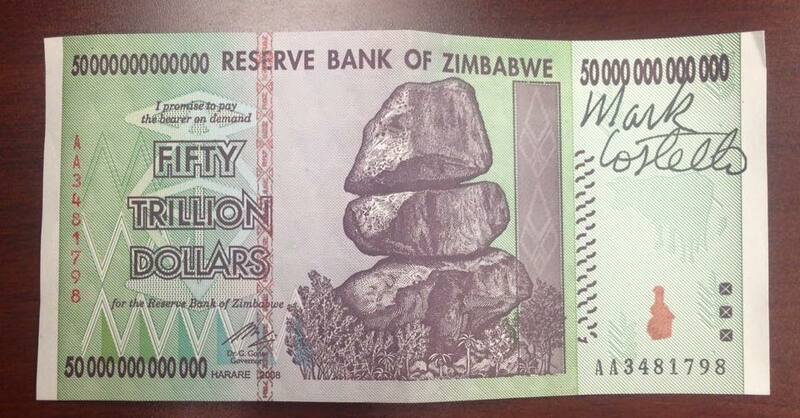 I am a firm believer that government must live within its means. "The tobacco fee for health care was passed in an effort to avoid significant budget cuts. After House Democrats refused time and again to support increased revenue measures, the fee was our only opportunity to balance the budget without deeper cuts. The minority party decided to play games with the budget, and now that opportunity has passed. "I look forward to working with the Governor and the Senate to overcome this latest challenge." Statement from Senate President Pro Tempore Mike Schulz on Thursday’s Oklahoma Supreme Court ruling regarding the cigarette fee. In a swift and unanimous decision, the Oklahoma Supreme Court ruled that the Cigarette Tax Smoking Cessation Fee passed by the state legislature and signed by Governor Fallin violated the Oklahoma Constitution. Petitioners, who are manufacturers, wholesalers, and consumers of cigarettes, challenged Senate Bill 845, alleging that it is a revenue bill enacted outside of the procedure mandated in Article V, Section 33 of the Oklahoma Constitution. The parties agree that the passage of SB 845 did not comply with Article V, Section 33; so the case turns on whether SB 845 is the kind of "revenue bill" that Article V, Section 33 governs. Applying the test we have utilized since 1908, we conclude that the primary purpose of Sections 2, 7, 8, and 9 of SB 845 is to raise new revenue for the support of state government through the assessment of a new $1.50 excise tax on cigarettes and that, in doing so, SB 845 levies a tax in the strict sense. As such, Sections 2, 7, 8, and 9 of SB 845 comprise a revenue bill enacted in violation of Article V, Section 33 and are unconstitutional. 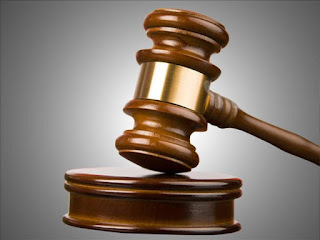 The scathing opinion was written by Justice Patrick Wyrick, the newest addition to the Oklahoma Supreme Court, and came less than 48 hours after the Court heard oral arguments on the case. [ś22] As a threshold matter, Petitioners present compelling contextual evidence in support of their claim that the Legislature's primary purpose in enacting SB 845 was to raise new revenues. The State Respondents urge us to ignore that evidence, and understandably so; it strongly indicates SB 845's passage was motivated by the Legislature's need to raise revenue so that it could satisfy its constitutional obligation to enact a balanced budget. We agree that a measure's purpose must be measured by its actual operation and effect, rather than by any legislator's statements as to what motivated his or her vote for the measure. But this dispute over the relevance of contextual evidence is ultimately of no consequence because SB 845's text-and text alone-conclusively demonstrates that the primary operation and effect of the measure is to raise new revenue to support state government. [ś42] The position taken by the State Respondents is, in this regard, extraordinary. In their view even a measure that explicitly levies a massive new tax, can evade Article V, Section 33's "revenue bill" requirements so long as the tax is enacted for a "regulatory" purpose. In this respect, the State Respondents are willing to go even further than the House of Representatives because, under their view, even a measure which explicitly levies a new excise tax on cigarettes - like the four failed House measures - could have been enacted with a bare majority vote. This is so, insist the State Respondents, because the purpose of the new $1.50 assessment has always been to discourage smoking. The logical end point of this position is that the Legislature can impose by bare majority any tax whose purpose is to discourage behavior disfavored by the government. One can imagine the gasoline tax being doubled "to reduce traffic congestion and wear and tear on our roads, the costs of which are overburdening the Department of Transportation," or the income tax on the top 1% being tripled "to reduce the societal ills that arise from income disparities among our citizens." Surely the people did not intend that the Legislature could blatantly tax them without complying with Article V, Section 33, by merely wordsmithing their bills to describe some "regulatory" purpose for the tax. Thus, we reiterate that whether a measure is "intended to raise revenue" must be the overarching consideration in determining whether a measure is a "revenue bill." If so, the Legislature must either muster enough votes to satisfy Article V, Section 33, or submit the measure to the people for their approval. [ś49] Lastly, were we to hold otherwise, the distinction between fees and taxes-and thus the protections against taxation provided by Article V, Section 33-would be meaningless. The State Respondents tell us that this is a common refrain from those raising such challenges, and one we should thus ignore. But despite any prior false alarms, this cry of "wolf!" rings true. If this quintessential excise tax can be transformed into a fee merely by calling it a fee and adding some regulatory gloss to the measure enacting it, then the promise of Article V, Section 33-a promise made to citizens in 1992 when they went to the polls and enacted the amended version-will be an empty one. The "tax relief" to be expected from the requirement that all "future bills 'intended to raise revenue' . . . be approved by either a vote of the people or a three-fourths majority in both houses of the Legislature" will have been illusory. And that, we think, would be an abject failure to carry out "the manifest purpose of the framers and the people who adopted it." This end result was very clear to anyone who was not dead-set on raising taxes on Oklahomans this past legislative session. The constitutional provisions regarding raising taxes are not rocket science, they're crystal clear, and it is beyond the pale that the Legislature (with some exceptions) and Governor sought to so blatantly violate the Constitution and the will of the people of Oklahoma. If this measure was not struck down, the Legislature would have been given unlimited ability and power to raise taxes. The Supreme Court made the absolute right decision. Primaries were held today for the special elections in House District 76 and Senate District 45. In HD76, vacated by the death of Rep. David Brumbaugh, Republican Ross Ford eeked out a 19-vote victory over Rep. Brumbaugh's widow Shelley, winning 30.76% to 29.85%. A third candidate received 28.52%, with two others in single digits. Democrat Chris VanLandingham took 54.18% in a two-way Democratic primary. In SD45, vacated by Sen. Kyle Loveless, Paul Rosino emerged victorious out of 7 GOP candidates, gathering 32.61% to the nearest competitor's 21.12%. He will face Democrat Steven Vincent, who defeated his one opponent with 92.22% of the Democratic primary vote. The general election for both races will be held on November 14th. 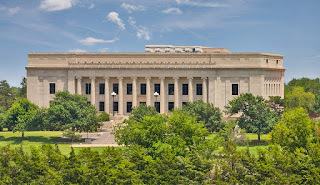 OKLAHOMA CITY - With the assistance of the Oklahoma Educational Television Authority (OETA), the Oklahoma State Court Network (OSCN) website will provide a link for the oral arguments to be held before the Oklahoma Supreme Court on the recent challenges to revenue measures enacted in the 2017 legislative session. The rare same-day scheduling of three oral arguments on issues of statewide interest will take place in the Supreme Court Courtroom at the State Capitol on Tuesday, August 8 at 9:00 a.m., 10:00 a.m., and 11:00 a.m. Due to an anticipated overflow crowd, the House of Representatives has made available Conference Room 206, where a live stream will be provided to those who cannot find seating in the courtroom. No other photographers or video cameras will be allowed in the Supreme Court Courtroom. OETA will make available a raw video for broadcast television media in the State of Oklahoma following the proceedings. For more information, contact Jessi Crino at (405) 408-8435 or at jcrino@oeta.tv. The link to the live-time feed will be found Tuesday on the OSCN website. Link for the livestream is HERE. August 7, 2017 -- Congressman Tom Cole, United States Representative for Oklahoma's Fourth District, is endorsing Republican candidate Darin Chambers in the upcoming House District 46 special election. Cole is encouraging voters on both sides of the political aisle to join him in supporting Chambers on September 12th. "The legislature desperately needs the expertise of a successful businessman and Darin Chambers is the answer," says Congressman Tom Cole. 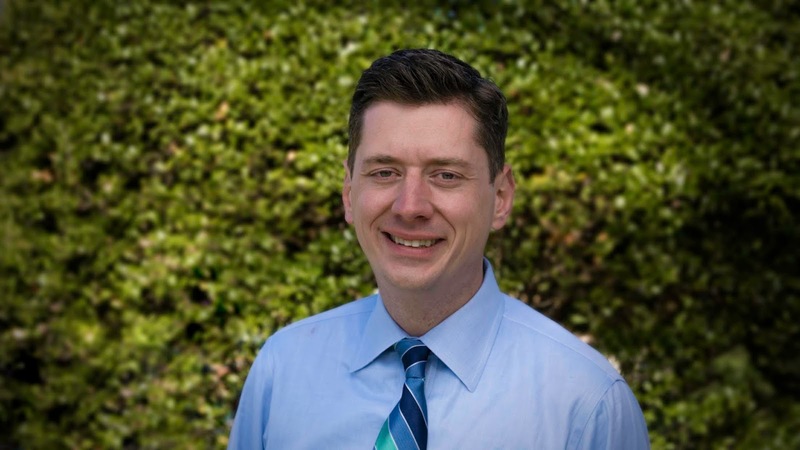 "His conservative credentials, as both a military veteran and a Fortune 500 efficiency expert, make him the ideal candidate to represent House District 46." Darin Chambers considers this endorsement an honor because of Congressman Cole's long history of bipartisan support from the voters of HD-46. "I am reaching out to all conservative voters regardless of political affiliation," Darin Chambers says. "I want to take my business experience and expertise, along with the values of our district, to the State Capitol. 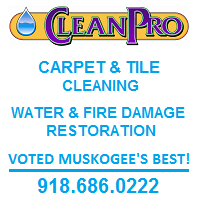 Business problems call for business solutions and the voters of HD-46 know how badly Oklahoma needs that right now. Solid business sense is what I will deliver." "Darin Chambers has the experience, integrity and vision Oklahoma needs right now," Congressman Cole says. "I am holding a fundraiser for Darin on August 17th because, even if you don't live in his district, he still needs your support. I'm asking every voter in HD-46, both Republican and Democrat, to get to the polls on September 12th and vote for Darin Chambers. The stakes are too high to stay home." 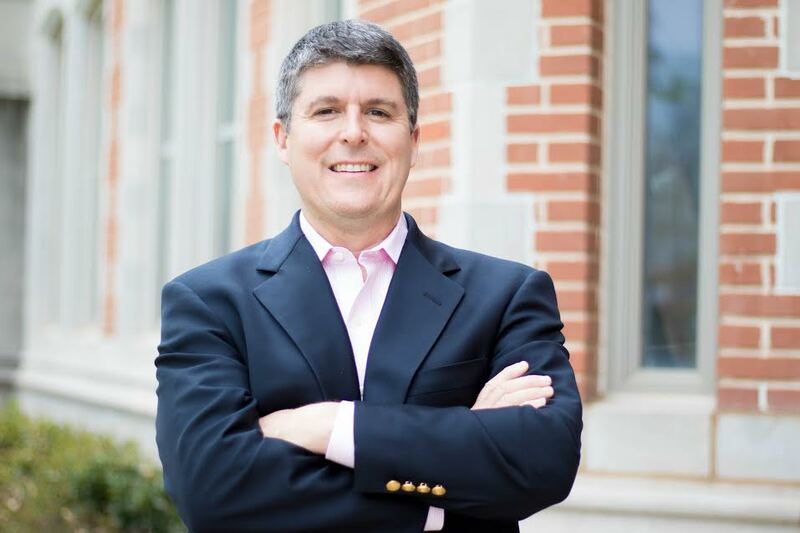 Darin Chambers is a Navy veteran, graduated from OU with an Electrical Engineering Degree in 1991, and earned his MBA from UCLA in 1999. Chambers now teaches upper-level engineering classes at OU, drawing on his experiences as a general manager for a global services firm working with top executives to improve efficiency, reduce costs and increase productivity. He and his wife, Dianne, live in Norman with their two daughters and two foster children. The House District 46 special general election will be September 12th. For more information on Darin Chambers visit his Facebook page at Darin Chambers for State Representative District 46 or www.ChambersforStateRep.com. This week's Music Monday is Lift High The Name Of Jesus / The Legend Of Saints And Snakes, a "greengrass" (Irish+Appalachian bluegrass) medley from Christian songwriters' Keith and Kristyn Getty's Greengrass Session album. Darrell Weaver, former Director of the Oklahoma Bureau of Narcotics and Dangerous Drugs Control, announced today that he will be a Republican candidate for State Senate, District 24. The Moore-based seat is currently held by Sen. Anthony Sykes, who will term out of office in 2018. Weaver is a graduate of the FBI National Academy and was commissioned as an agent with the Oklahoma Bureau of Narcotics in 1987. He rose through the ranks to become Director of the Oklahoma Bureau of Narcotics and Dangerous Drugs Control in 2006, and retired after serving the Bureau for 28 years. In 2014, he was inducted into the Oklahoma Law Enforcement Hall of Fame. Weaver was a long time elected trustee of the Oklahoma Law Enforcement Retirement System (OLERS) and a member of the Council on Law Enforcement Education and Training (CLEET) governing council. Weaver has been active in the community in numerous ways, including his current work as the CEO of Big Brothers Big Sisters of Oklahoma. 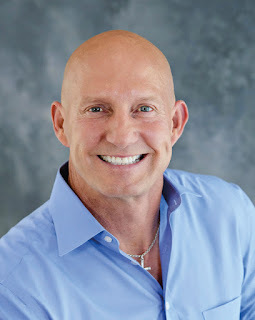 A man of faith, Weaver is a Christian author who has been a speaker at men’s groups, youth camps, and church gatherings across the state of Oklahoma. He is a long-time volunteer youth football and basketball coach. Weaver’s wife, Kim, is a physician. They are small business owners active in the Moore and South Oklahoma City Chambers of Commerce. 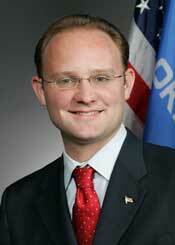 Weaver serves as the Chair of the Government Affairs Committee for the Moore Chamber. The Weavers have five children and attend Harvest Church in Moore. Weaver graduated from Cameron University with a Bachelors of Accounting, and later earned an MBA from Oklahoma Christian University where he was awarded an honorary Doctor of Pharmacy. He is an alumnus of Leadership Oklahoma Class XXVIII, Leadership Oklahoma City Class XXIX and the 2013 Leadership Moore Class. For more information about Darrell Weaver, go to DarrellWeaverforSenate.com. August 2, 2017 -- Conservative Republican Cathy Costello, widow of former Labor Commissioner Mark Costello, announces her candidacy today for Oklahoma Labor Commissioner in 2018. 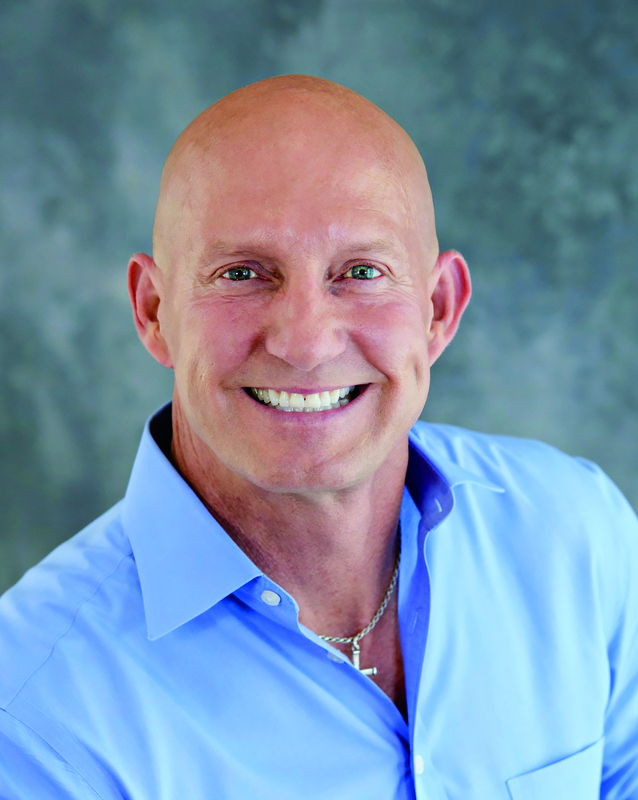 Costello is a successful business owner and nationally-renowned mental health advocate. "Mark and I had a consistent formula that allowed us to succeed in business - Hard work, solid values and diligent planning," Cathy Costello says. "That is exactly what I will bring to the job as Oklahoma's next Labor Commissioner. I do not want anyone's vote because of the tragedy of my past. I am asking for everyone's vote because of my vision for the future." 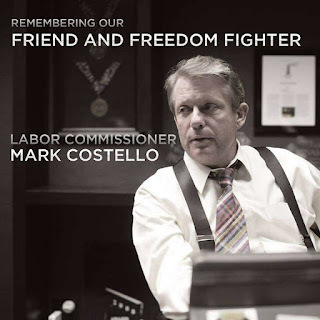 Costello plans to implement reforms to improve workplace safety, promote STEM (science, technology, engineering and math) education to cultivate Oklahoma's future workforce, and reduce the loss of wealth and productivity due to untreated mental illness. "Mental illness is the leading cause of lost workplace productivity and accounts for 30% of disability costs," says Costello. "One in four Oklahomans suffers from mental illness which takes a tremendous toll on Oklahomans both personally and financially. The Labor Commissioner has a statutory obligation to promote the health and welfare of every worker in Oklahoma. Under my administration, mental health will be taken as seriously as physical health. It's a win-win for employers and employees alike." Cathy Costello is a lifelong Republican, resident of Edmond, and the co-founder of several international businesses. For more information on Cathy Costello and her plans for Oklahoma, visit her website at www.CostelloForOK.com. ** "raised" figures include "in-kind contributions"
July 31, 2017 -- The campaign to elect David Holt the next Mayor of Oklahoma City announced that as of July 31st it has raised over a quarter-million dollars ($261,961). The campaign has only spent less than eight percent of that sum. The donations have come from 308 donors and 50 zip codes in the Oklahoma City metro. The $261,961 amount includes all donations received as of today. The quarterly fundraising report filed by Holt’s campaign today with the Oklahoma City Clerk’s office only includes donations through June 30th. The report filed today includes donations from dozens of longtime Oklahoma City champions, but most notably Ron Norick, legendary Oklahoma City Mayor and “father of MAPS”. Continuing the momentum of Holt’s campaign, today’s fundraising announcement almost doubles the amount previously revealed in April, at which time Holt had a 4-to-1 fundraising advantage over the only other candidate. Holt’s campaign has yet to hold an official fundraising event, but announcement of a kickoff event is expected soon. The election to decide Oklahoma City’s next Mayor will be held February 13, 2018. For more information about the campaign to elect David Holt the next Mayor of Oklahoma City, visit HoltForMayor.com.